Miniature arts and miniature crafts are well loved by the world at the large. Check out this DIY miniature project by England’s own Aimee of Wallflower Girl that’s sure to spread sheer botanical joy in just a matter of mini minutes! Making miniature bouquets is a breeze. You can share these little creations as a gift with a personalized miniature envelope. 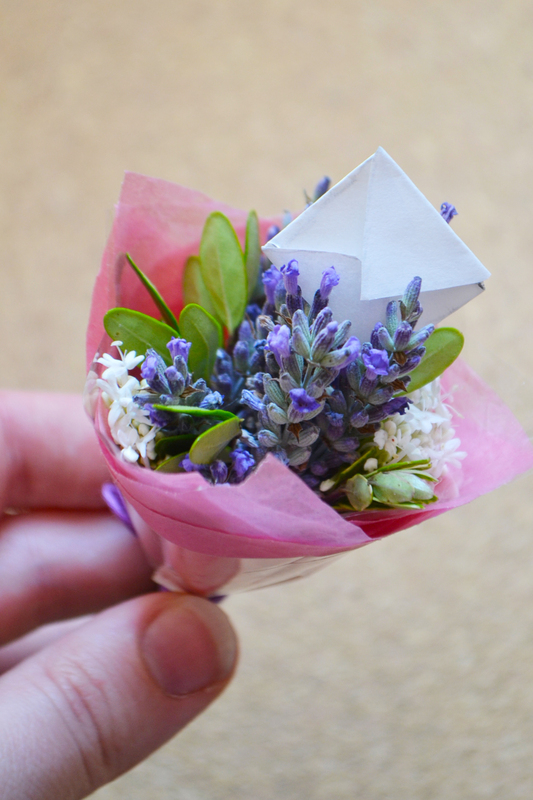 Or you can affix a mini bouquet to a gift-wrapped package or greeting card envelope. The choice is yours.